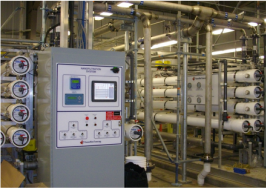 DOW Chemical chose Canadian Water Technologies as their "PREFERRED OEM" because our membrane based water treatment systems are engineered to be the best quality systems industry can offer. 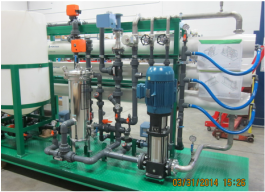 Ultrafiltration is another emerging technology being used as pre-treatment to RO systems in surface water and seawater applications. It effectively removes suspended solids, Viruses, Bacteria, endotoxins and other impurities to produce quality water not only suitable for upstream RO system, but in some potable applications as well. 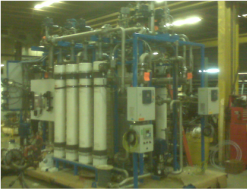 Reverse osmosis is the finest level of filtration available. The RO membrane acts as a barrier to all dissolved salts and inorganic molecules. Nano Filtration is a proven method of water softening and dis-infection through membranes, economically and efficiently. 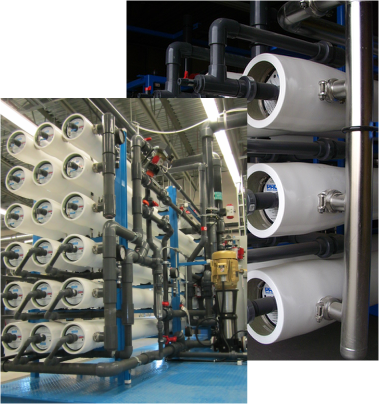 Ultrfiltration membranes are being widely used in Potable water, De-salination Pre-treatment and Wastewater Reclamation applications.